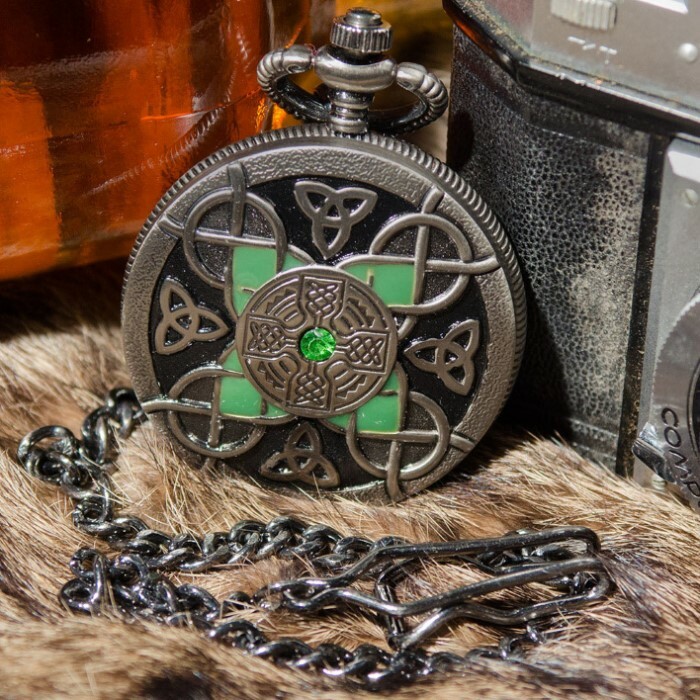 Celtic Pocket Watch With Lighter | BUDK.com - Knives & Swords At The Lowest Prices! Perfect for displaying Celtic pride and heritage. I like it a lot. However the one I got, the battery occasionally dies and you will have to adjust it. I think it just needs a new battery though. The lighter is not a true zippo but it works. Overall pretty cool and looks nice. I'm very happy with it. Watch seems well made and the lighter is as well put together as any Zippo brand lighter would be. I filled it and it lights easy and has a consistent burn. For the price, this is a beautiful set! I haven't had the chance to actually wear the watch formally, but it's well-made and gorgeous to look at. The lighter is not a Zippo, but it IS a quality piece and has stood up to the use I've given it quite nicely. Two cautions on that score; the one I received is not a glove-tight fit between the lighter body and the insert, so be careful to let it "air out" a little before you tuck it in a pants pocket. (Anyone who has ever gotten "lighter burn" on a hip or leg will know what I mean.) Second, when you go to change a flint, be very careful not to reverse the spring stem and the flint. The flints I purchase are gold-colored, much the same as the brass insert of the spring, so it isn't difficult to swap places with them, then wonder why your lighter won't spark! LOL Overall, another A+ offering from Bud K...! I bought this for my brother-in-law to give my sister (he gave me a list requesting Celtic jewelry for her) She LOVED it!! Easily the highlight of her Christmas gifts this year. Beautifully made and such nice quality! Thank you. I ordered three of the pocket watch lighters on the B1G1 and was impressed with the product and price. They were prettier and higher quality than I was expecting. Much of the online ordering I do I wind up receiving lower quality than expected. Very happy with this purchase! I ordered two of these watch lighter combos on the bogo offer and could not be more pleased. I had meant both to be presents for the holidays, but couldn't resist keeping one for myself. The watch is lovely, larger than it looks in the photo. 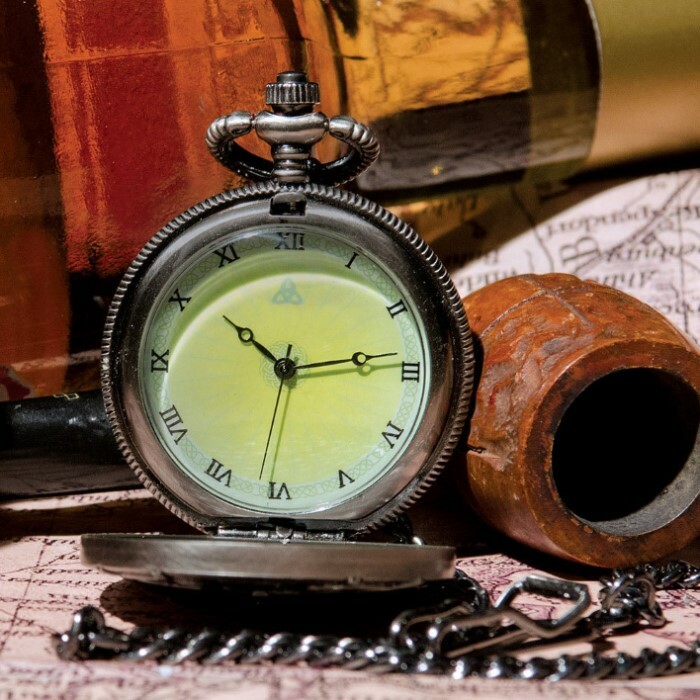 It makes a perfect Steampunk accessory. The look and feel of the lighter are great as well, but I haven't fueled it yet. This watch with matching lighter is a fantastic value and a fine looking timepiece.